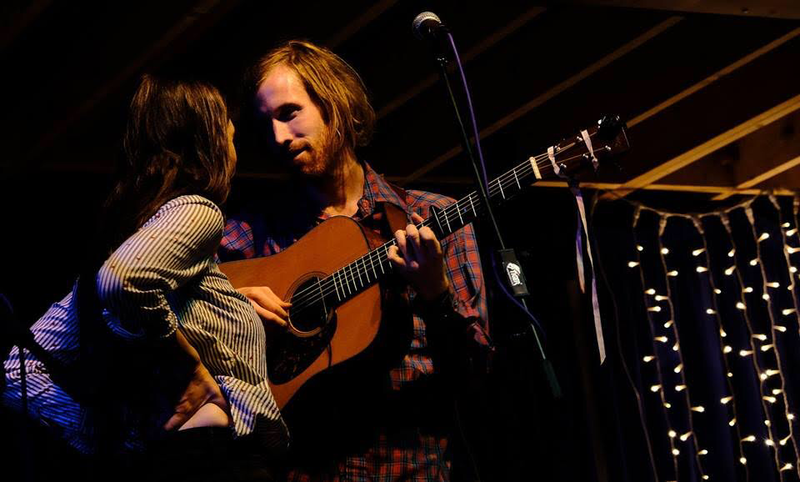 FELLOW PYNINS IS A contemporary folk DUO BIRTHED OUT OF YEARS OF TRAVELING, FARMING, CHILDREARING, AND TOURING WITH THEIR 6 PIECE FOLK ORCHESTRA, PATCHY SANDERS. AFTER THE CLOSING OF PATCHY SANDERS, DANI AUBERT AND IAN VAN ORNUM NATURALLY BEGAN TO CRAFT THEIR whimsically woven folk tales AS A FAMILY DUO. THEIR SONGS TELL OF STORIES OLD, DREAMS OF DEATH, AND ENTERING THE CHASMS OF THE HUMAN EXPERIENCE. their repertoire is based on original songs and traditional ballads collected during their travels. FELLOW PYNINS LIVE PERFORMANCES ARE INTIMATE, WOVEN WITH STORIES, LAUGHS, PRESENCE, AND THRIVE ON The interaction with their Audience. Offering workshops is one of our favorite ways to connect with the community as we travel and tour. We can hold workshops in songwriting or harmony singing. The interactive Songwriting Workshop focuses on inspiration for composition, how to build a local community of songwriters circles, and building the courage to share your songs. We open the workshop for people to share their original songs and to receive support and feedback from the rest of the group. Our main intention is to build confidence and encourage the community to hold periodical songwriters gatherings. Our Harmony Singing workshop is an all inclusive, hands on singing experience. We teach easy to learn rounds, and short songs from many vocal traditions around the world. Empowering beginners to open their voice and learn harmonies, engaging more experienced singers to learn advanced rhythms and harmonies whilst creating an on the spot choir is our main agenda! Wintergrass Festival, High Sierra Music Festival, Singing Alive, Plants enchant, California World Festival, and many public home workshops.